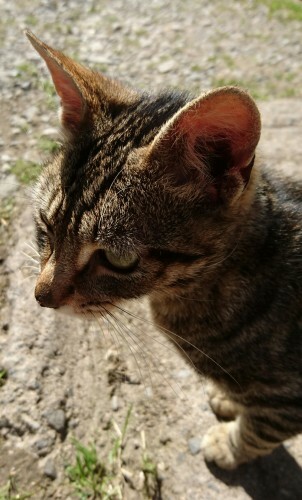 Young friendly male tabby cat found in Grange, Co.Limerick. Gray/black tabby/tiger markings. Well handled and calm around people.